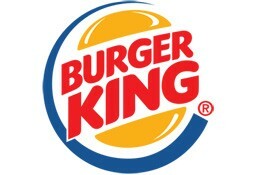 Burger King is currently closed for delivery and it will open at . 2 chicken/beef burgers served with fries and soft drink. 1 Beef Steakhouse Sandwich, 1 Chicken Steakhouse Sandwich, 1 Whopper Junior Sandwich, 1 Chicken Burger Sandwich. 2 Chicken Fries + 2 Dip Sauce & 4 Coke Cans. Our fish burger is made with fish fillet patty, lightly breaded and topped with a simple combination of fresh cut iceberg lettuce and tartar sauce and american cheese on a sesame seed bun. Without cheese. Served with fries and soft drink. Croissan’wich bun, 1 american cheese, 2 slices bacon, egg patty 1 stuffed hash brown + regular coffee. Available from 5AM to 11AM daily. Croissan’wich bun, 1 american cheese, sausage patty, egg patty, 1 stuffed hash brown + regular coffee. Available from 5AM to 11AM daily. Croissan’wich bun, 1 american cheese, 2 slices bacon, 1 american cheese, sausage patty, egg patty, 1 stuffed hash brown + regular coffee. Available from 5AM to 11AM daily. Croissan’wich bun, mayonnaise, lettuce, chicken patty, mayonnaise, 1 stuffed hash brown + regular coffee. Available from 5AM to 11AM daily. English muffin bun, 1 american cheese, 2 slices bacon, egg patty, 1 stuffed hash brown + regular coffee. Available from 5AM to 11AM daily. English muffin bun, 1 american cheese, sausage patty, egg patty 1 stuffed hash brown + regular coffee vailable from 5AM to 11AM daily. Meal includes regular hashbrown & regular coffee. Available from 5AM to 11AM daily. English muffin bun, scrambled egg, stuffed hash brown, sausage patty, regular coffee. Available from 5AM to 11AM daily. Mixed of potato, cheese and onion. Available from 5AM to 11AM daily. Available from 5AM to 11AM daily.